History - Bike or Die! 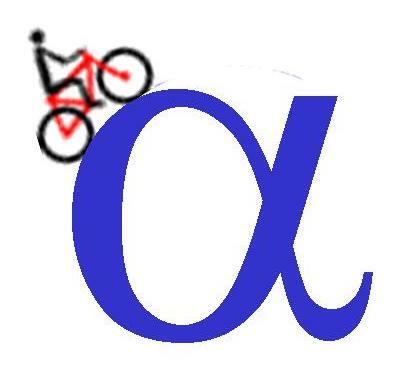 12 Jul 2009  5 Years on Bike! It is hard to believe it has been 5 years already! 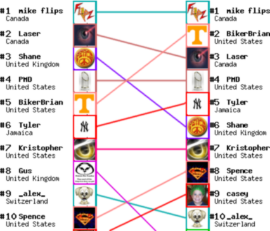 Here is the last year's ranking chart, showing all good players who managed to reach top 50. Congratulations! 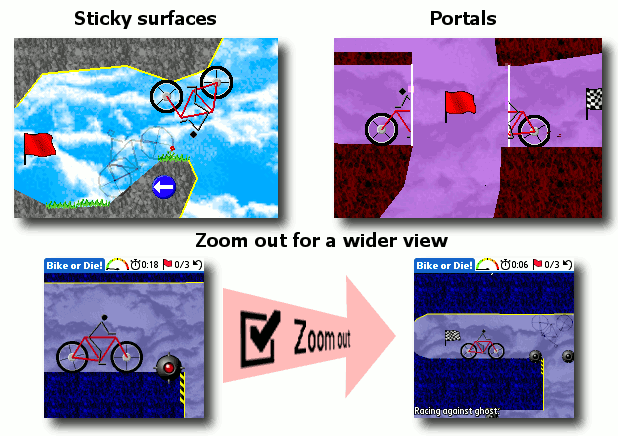 The new Introduction levelpack becomes the starting pack in new BoD releases - easy and nice levels demonstrating basic gameplay features should help new players learn basic biking skills. (Palm only) new "Go To Hall of Fame" menu option opens the Hall of Fame listing for the currently played level (or its Levelpack Explorer page if the level is not in HoF). I forgot to include this in the iPhone update, will be added in the next one. 13 Feb 2009  New in Hall of Fame: Winter Pack and One Wheel Fun! The 14th Hall of Fame levelpack is Winter Pack, containing 14 amazing levels created by the best Bike or Die players! If you downloaded the Winter Pack before, please delete it and download the current version, otherwise your scores won't be accepted into the Hall of Fame! 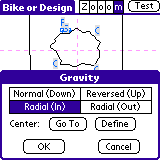 Players using the old Bike or Die v1.6, should upgrade to the most recent version 1.6b, earlier versions contained a bug that affected the radial gravity levels, which was not an issue until now - as the Winter Pack is the first Hall of Fame pack using radial gravity (see Planet Time Trial). One Wheel Fun - "Save rubber, ride on one wheel!" Is it possible to complete a level using just one wheel? Probably not, but can you go farther than anyone else? This means the game will be easier and less frustrating for new players - you don't need to play the level from the very beginning each time you die. However, you still have to complete the level in one go in order to submit your score to the Hall of Fame. The new "automatic Save & Resume" feature is ON by default, which means you will experience it just by playing the game as usual. This might be not what you want if you are the experienced player struggling to get the best Hall of Fame score - read the Hints below to learn how to tame Save & Resume. 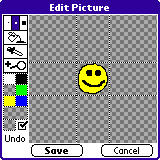 The "R" icon is also displayed in level selector if a given level was only completed by resuming. As a "side effect", the game is now also saved on quit (and resumed on the next start). 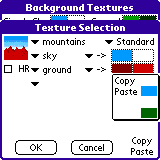 Such feature was requested long time ago - after all, this is the standard Palm application behavior. 19 Dec 2008  Bike or Die! is going to be easier! Most people who play the game for the first time complain on the very high difficulty level so i decided i have to do something. 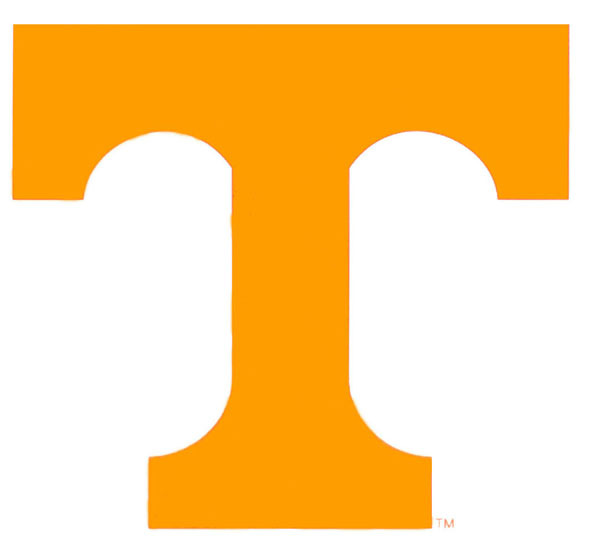 The change is small but very influential: ability to save and resume the game. So now you don't have to play the level from the very beginning each time you die (this was the most frustrating for newbies!). 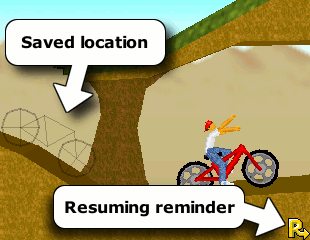 There are 2 ways to use this: the autosave algorithm saves the game after collecting a red flag or at any place considered "safe", so in many cases you don't have to do anything to benefit from the new feature. Those who want more control can also save the game anytime they want be pressing and holding the "pause" button. But there is one catch: you still have to complete the level in one go, in order to submit your best score to the online competition. Changing this rule would be unfair to the people who already played long hours to get their Hall of Fame medals! 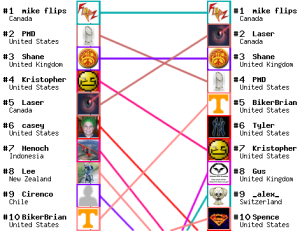 10 Dec 2008  Multiple Head to Head! Thanks to Xuzz , who enhanced my replay routine, it is now possible to view more than 2 players simultaneously! Additionally, the Head-to-Head links will no longer become invalid after making some games secret - now the page displays normally, just hiding the secret items. Another improvement suggested by Xuzz is displaying links to other commented games in the "Related" section. This helps finding older comments for HoF games replaced by later submissions. Releasing the iPhone version motivated me to implement the "mobile" version of the BoD website (finally!). It is not much smaller by data transfer, but its layout is better suited for small screens. This was done by replacing the left column navigation with combo boxes, using smaller images and omitting some information. 20 Nov 2008  Bike or Die for iPhone! Bike or Die is now available for iPhone and iPod Touch! The game is basically identical to the Palm version. The main difference is that there are no buttons - everything is touchscreen-controlled. iPhone users play the same levels as Palm users and compete in the same Hall of Fame. However, it is not clear yet if the touchscreen control will prove good enough for the real world class champions. There is only one way to find out - play! 16 Jul 2008  Bike or Die 2.0d - Meet the biker girl! 12 Jul 2008  4 Years On Bike! Today is the 4th anniversary of Bike or Die! I made the traditional ranking graph showing the top 50 players changes during the last 12 months. BikeForce has been added to the Hall of Fame. This means 13 new gold medals and numerous opportunities to outrun your competitors! 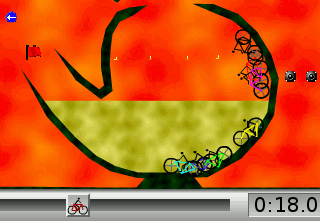 BikeForce looks best in Bike or Die 2 but it is also playable in the old Bike or Die v1.x. Do you prefer freestyle over time trial racing? The new competition has just started: Final Frontier "To boldly go where no one has gone before..." - the goal is to reach seemingly inaccessible location in some level. Thanks to Ricardo there is now a Spanish version of Bike or Die 2! Here comes the new Bike or Die! The most important difference is graphics - now it is possible to design levels using multiple textures and there is a nice 3D effect making everything look more real than ever. 19 May 2008  Become a star in Bike or Die 2! ...except for one thing: it lacks a nice intro movie. Freestyle champions needed! Submit your best ride to Bike or Die 2 Intro and win the eternal fame! Many of these improvements are your Ideas - thanks! My website is moving to a new server - I will have to disable the submission for a while to ensure the database consistency. Sorry for inconvenience! 20 Dec 2007  Bike or Die v1.6 - Gravity Fun! The application itself was not changed, but i added some documentation about new features, especially portals (included in the package or you can read it online here). UPDATE: the new version 1.3b fixes a bug in loading old levelpacks: depending on the circumstances it could change the regular checkpoint and obstacles into "dynamic" ones (in other words, the additional numeric attribute in these objects was not always zero). 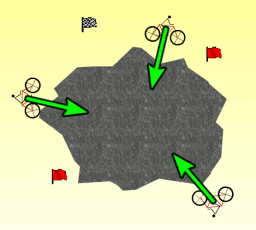 24 Sep 2007  Bike or Die v1.5 released! 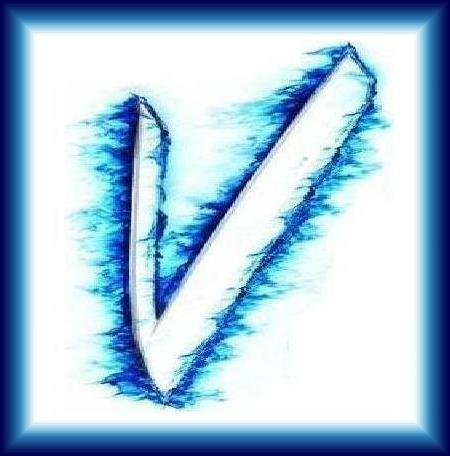 Along with the release of v1.5, the new levelpack has been added to the online competition. Play Supernatural, get know the mindbending portals and the treacherous sticky grounds! Each forum thread has now the RSS link so you can track comments and threads easily. 22 Sep 2007  Bike or Die v1.5 (release candidate) is here! 12 Jul 2007  3 Years on Bike! "Bike or Die!" is 3 years old! This feature allows you to replay two recordings simultaneously. It looks like two player were chasing one another in a direct race. This is not only amusing, you can also utilise this feature to improve your skills by finding places where your competitors outrun you. 4. Click "Show Head to Head"
Note: You can navigate between pages while selecting the recordings (in step 3), and also between Hall of Fame and games on-line. 24 Feb 2007  New Hall of Fame Levelpack! The ranking has been just updated, according to the new rules agreed in this thread: Medal Bonus Points Voting. Top 15 players in each levels are now given special bonus points. Most players are not affected. 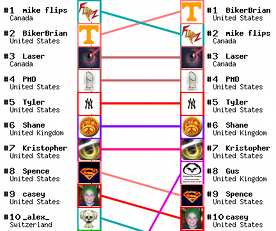 Top gainers are: Sirinx (#559 to #529), ZAX (#353 to #337), DavidE (#450 to #435), Vega (#181 to #166), magnus (#374 to #359), Martyn (#571 to #561), oh my god (#576 to #561). This version fixes a bug in loading extremaly complex levels - like the Kristopher's "Infinity" from the upcoming "Scary Files" levelpack. 14 Feb 2007  "Arcade Reality" released! Finally, the game is ready! 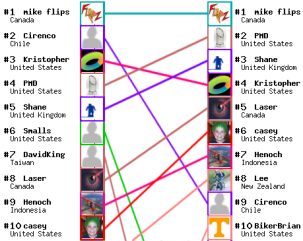 Let's celebrate - I'm going to give away 10 free registration codes for the top 10 "Bike or Die!" players (you will receive the instructions in private messages). But there is more: "Arcade Reality" contains a hidden "Bike or Die"-related game. The first person who discovers how to enable this game will get another free registration. We all love "easter eggs", don't we? Fixed the problem with card levelpack names not matching the internal levelpack names (this prevented from loading such levelpacks automatically on startup). Finally, you can create your own levels with updraft and variable friction! 15 Oct 2006  v1.4: New features, new levelpack, more fun! The previously announced "Bike or Die!" v1.4 is ready! Along with the new version, the New Deal levelpack entered the official Hall of Fame (the first levelpack featuring the updraft and slippery surfaces). 30 Sep 2006  Bike or Die v1.4 is coming! Variable friction. Certain surfaces can be marked as "slippery" or "reduced friction"
Time Trial Champions and Levelpack Rankings are now calculated differently. In general, the new method gives more points to average players. Until now, only top 99 players in each level could win more than one point in a level. Most players only gained 1 point and there was no difference between players below top 99. 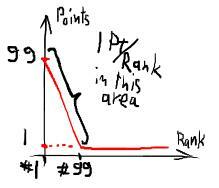 Under new rules you always gain some ranking points by improving your position in the level. 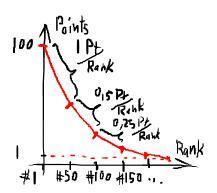 First 50 players get 1 point a rank, and each next 50 decreases the points/rank factor by half. 17 Jul 2006  Total Race, Golden Club and more! The Hall of Fame database was reorganized, this allows me to add more sophisticated rankings, like Total Race and Golden Club. 13 Jul 2006  2 Years On Bike! By selecting "Other..." in Control Options you can configure any button to perform the given action, even if it is not listed in the popup, like the alphanumeric Treo keyboard. This should work on all devices having additional buttons not known to "Bike or Die". This update fixes the long standing bug in the submission procedure. It means that you may be able to submit your recordings directly from your palm even if it always failed in previous versions - try it! Treo 650 "Home" key can be disabled to prevent accidental quitting ("disable other buttons" in Control Options). You can still quit from menu or use the Home key after the game is finished. The new Toyspring toy is not yet released, but you can try the beta version here. And now it is official v1.0 - download and enjoy! It is only relevant for the LifeDrive and Tungsten X owners - the old version failed to recognize the Left/Right/Select buttons. The BIG update with some new features taken from Ideas is planned before Christmas. Can you trace your Hall of Fame history back to the first day? 11 Jul 2005  Video Review! James Steel from plankfilms.com has just published a video review of "Bike or Die!". See it here! This site is definitely worth visiting even if you already know "BoD" because of several other Zodiac/Palm game reviews and independent movies! 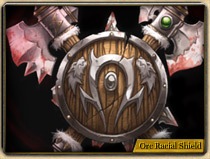 16 levels from the existing levelpacks were selected to form the new Hall of Fame levelpack. Most of the Summer levels are noticeably easier than other levelpacks - now everyone can earn the Time Trial Competition points! In addition to the usual comments you can also rate all levels - let the world know your opinion. I hope this will help us selecting the best levels for the Hall of Fame, but will be also very convenient for everyone looking for news levels . The new Forum grows on the old Hall of Fame commenting system. It allows for better organized talks (with threads). For now there is no notification on new messages, but you can easily spot new messages on the initial "All messages" page.